Gong Xi Fa Cai! Kung Hei Fat Choi! Happy Chinese New Year! Embrace the coming of the Year of the Fire Rooster in tradition and luxury in Marco Polo Ortigas with Marites Allen, international Feng Shui expert on January 28. Continue the long-standing tradition with a dragon dance performance which is believed to bring good luck to people. 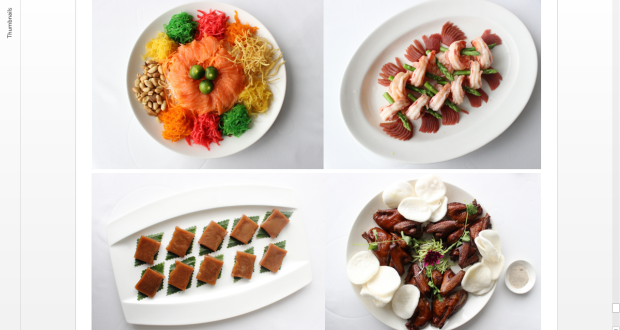 Followed by a prosperous Cantonese temptations, combining traditional and modern culinary techniques by Executive Chinese Chef, Raymond Yeung with his Yin and Yang set menus for lunch that your family and friends can enjoy at Lung Hin, as you welcome a new year full of blessings. On January 27, there will be a New Year’s Eve celebration at the Grand Ballroom, located on the 7th Floor of the hotel with live entertainment, calligraphy making, and selling and display of Feng Shui cures and enhancers, for guests to enjoy. Welcome the good luck that the new year brings with symbolic glutinous rice cakes, presented in round cakes with yam and and brown sugar flavours for Php 988, and special Koi-shaped coconut flavor for Php 1,188. Freshly made by Lung Hin’s Hong Kong chefs, indulge in a delightful and delectable Golden Pineapple Pastry comes in a box of 8 for only Php 888. Available in Lung Hin, located on the 44th Floor of the hotel on January 10 to 31 and January 15 to 31 respectively. To know more about the hotel and other signature dining outlets of Marco Polo Ortigas Manila, please contact (632) 720 7777 or book online via www.marcopolohotels.com or email: manila@marcopolohotels.com. Visit facebook.com/MarcoPoloOrtigasManila or follow @MarcoPoloManila on Twitter or Instagram.